Here's my second "You Ask, I Answer" post, where I consolidate some common (and not so common) reader questions. Reader questions aren't a new thing on my blog, and I've written a bunch of posts based on reader questions over time, including some of my personal favourite science-y posts, like my post on parabens, and my post on talc. But I thought it would be nice if I could share some of my reader Q&As with everyone else too! 1. Are chemicals really a problem in skincare? 2. So when should I avoid "chemical" ingredients? 3. Can you actually DIY your own skincare, and if so, is it actually "better" that what's available out there? 1. Are chemicals a problem in skincare? For those who want the TL;DR answer upfront, here it is: Generally I don't think "chemicals" are really a problem in cosmetics as they are currently used, so I wouldn't worry too much about it! Most people who don't like the idea of chemicals in their cosmetics or skincare generally do so because they have the impression that anything chemical is automatically bad, and anything that is "natural" is good. The thing is, there isn't a hard line between a "chemical" and a "natural" substance, and sometimes people draw a difference where there is none. Most "chemicals" are extracted from natural products today, and then processed for further purity (removing any harmful byproducts) and to ensure certain standards (for example, powder size and so on). So there isn't a neat cutoff for a "natural" or "chemical" ingredient - the truth is, everything starts from some sort of substrate or plant or animal byproduct or mineral or whatever, and is processed accordingly to render it suitable for use in cosmetics and skincare. 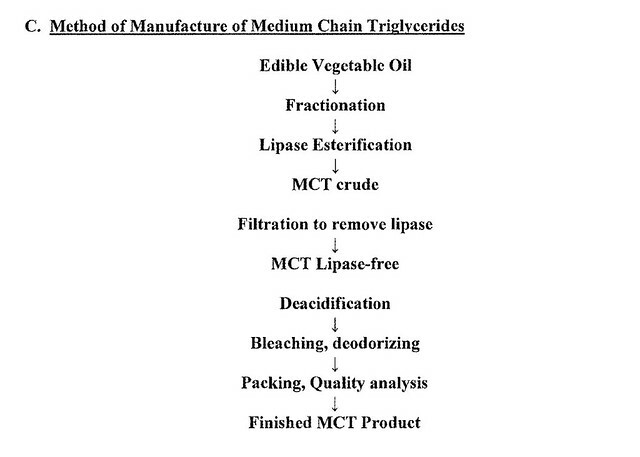 This is basically a series of processes to separate out the desired fatty acids from the rest of the vegetable oil. So you start off with vegetable oil, then fractionate it to separate out it out into its various chain lengths, and then you have to go through further refining to separate the exact fatty acids you want from the rest of the fatty acides of similar chain lengths. And then because often oil[-based ingredients may have variations in appearance/smell from batch to batch, you have to ensure that the final ingredient has some level of consistency in terms of scent and colour. So while an ingredient like capric/caprylic triglyceride is indeed "natural", in the sense that you can derive it from coconut oil, even the most "natural" of ingredients can't just be squeezed from a leaf or a plant - to ensure that the ingredient meets the necessary standards of purity, hygiene and has the necessary consistency, it has to go through some processing. The point is every natural ingredient used in cosmetics has to go through some of this processing. Conversely, ingredients that often get a bad reputation and are often labelled as "chemical" can often also be found naturally - it's just that, like "natural" ingredients, they also have to go through a process to be extracted in a form suitable for us in cosmetics. For example, parabens (which I've actually blogged about here before), are often touted as being bad because they're "chemicals" but not only are they actually safe as used in cosmetics (you can read my blogpost to find out more) but they also occur naturally in fruits like grapes, strawberries, and so on. So, at the end of the day, the distinction between what is natural and what isn't is quite a blur one, because it's hard to determine at what level of processing it is no longer "natural". To me, it sometime seems like whatever gets the most hype about it is often deemed the most unsafe, regardless of whether that hype is grounded in science or not, and fearmongering sites that don't rely on proper published data and science, like EWG, often contribute to the needless vilification of "bad" "chemical" ingredients. I don't think any ingredient should be labelled "chemical" or "natural", because this isn't really accurate at all - the fact is that even the most "natural" ingredients go through processing, and even the most "chemical" ingredients are derived from some naturally-occuring substrate, and the fact is that the safety of an ingredient has nothing to do with whether it is "natural" or "chemical" or not. As pointed out before, the line between "natural" and "chemical" ingredients is very fine. So I don't see much of a point in avoiding "chemical" ingredients. In fact, if you make it a point to avoid "chemical" ingredients, then you probably wouldn't be able to use any skincare at all, except maybe buy an aloe vera plant and squeeze its gel to make your own skin gel, because every ingredient goes through some processing. The only time I would ask you to avoid an ingredient ("natural" or "chemical") is if your skin has an allergic reaction to it, or if it triggers skin sensitivities, or acne. Then, because your skin reacts to it, it may be good to stay away from those ingredients. But I wouldn't rule out an entire class of ingredients just because it sounds "chemical"-like, because that's just ruling out those ingredients based on how complex their names sound, not whether they actually are safe or beneficial or not. You can look up the safety data of individual ingredients if you are concerned about a particular ingredient's safety, and I highly recommend you don't use EWG, and use the more science-based, reliable sources like the CIR or the European Commission. For the CIR, you can just google "CIR" and the ingredient name to pull up the CIR results, while for the EC, you'll have to search their database - it might take a bit of toying around with to figure out how to use, but it's not too difficult. In my experience, as a blogger who looks at ingredients, I've never actually found anything alarming, in the sense that it's unsafe, or causes cancer, or makes you ill. Mostly, products which are "bad", are not bad because they're unsafe, but just because they're badly formulated, in the sense that they are ineffective and don't work as advertised. So for example, I might see a product that makes all sorts of anti-aging claims, but the ingredients don't actually warrant those claims. Or I might see a sunscreen, but the formulation is such that the sunscreen isn't stable and the UV protection will degrade over time. But I've never come across a product that will cause cancer or is unsafe for your health. So yes, I do come across lots of less-than-optimal products, or products that exaggerates their benefits. But I've never seen a product that was actually unsafe in the way some online sites make it seem. I suppose the TL;DR answer would be maybe yes, if you are a pro who has built up your knowledge and skills, and has the right equipment and recipes, but for the vast majority of people, the answer would be no. 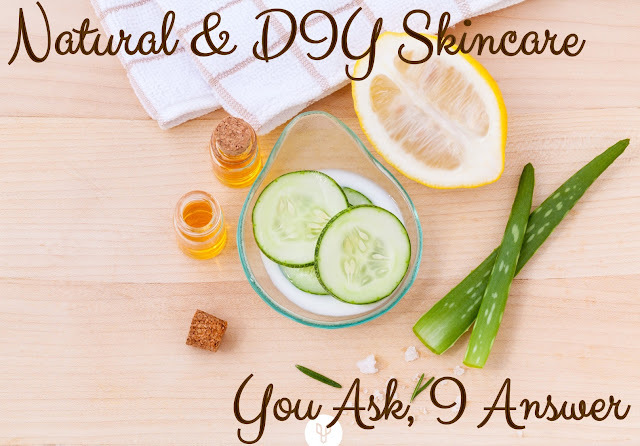 You can certainly DIY your own skincare, and in some ways it can be fairly easy - for example, you can easily create a face oil by mixing say, jojoba oil and grape seed oil as an oil cleanser, or make a simple toner with glycerin and water. But beyond mixing oils and some basic ingredients, if you want to create things with more complex textures and functions, like soaps, shampoos, lotions, creams, then that's when it will start getting tricky. You will need to know the basics of formulating, which will entail learning about the basics of cosmetic chemistry and ingredients, as well as knowing very well specific classes of ingredients (for example emulsifiers and oils), as well as knowing about preserving your products (because if not DIY skincare with water in it goes bad really quickly - like within a week). You will also need specific equipment, such as weighing scales, thermometers, mixers, pH meters, and so on. So it's not something a newbie can just jump into and expect to be immediately successful at - like anything else that requires some amount of chemistry (cooking, baking), you often have to start small, follow other people's recipes, learn about the science behind why the recipes are constructed that way, and then finally, as you practice and get better, start making tweaks to existing recipes or make your own. This process can requires significant amounts of time and commitment, so it's definitely not something to start on a whim - especially if you're already pressed for time. And because this is a process that requires lots of time, knowledge, skill, and commitment, for the most part, the casual user wouldn't actually be able to DIY something that's "better" than what's available commercially. Certainly a very enthusiastic DIYer might come up with a formulation he/she prefers over a period of time, but most people would just not be able to formulate something that they would actually prefer to what is already available on the market. Newbies who try to make their own lotions or creams often end up with issues with the consistency, texture, colour, scent, spoilage, or other aspects of the product, so their first few attempts typically wouldn't be spectacular successes. It's only after getting better that they can make their own product for personal use. If that actually sounds interesting to you and doesn't daunt you, then sure, go in with the full knowledge that you'll have to slowly build up your expertise. I know there's quite the DIY community out there, and there are all sorts of lotion-making and soap-making forums and blogs, so those are worth a first stop. I'd suggest reading up as much on the topic before jumping into ask questions, so you get your basics covered. One of the DIY skincare blogs I'm aware of is Swifty Crafty Monkey. You can see what types of recipes she uses, what type of knowledge she has, what type of equipment she uses and so on, to get a better picture of what it might entail to meaningfully DIY your own skincare, because it's clear that she has a lot of knowledge and skill! If you're interested in learning more, and are keen to slowly build up your skills, then feel free to jump in, and good luck! Have any more questions that you'd like answered in this section? Feel free to leave a comment, use the form below, or contact me otherwise! What are some DIY beauty recipes you've seen that could be potentially harmful? I'm thinking of instagram accounts like https://www.instagram.com/farahdhukai - some of that stuff looks crazy! @Angelica Adela: I took a look at the Instagram account you mentioned, and actually for the most part, her types of DIY recipes (e.g. use this fruit/yogurt/food ingredient to make a mask) are still what I would consider to be alright, because most of her DIY suggestions are face masks that you mix for a one-time use, and then dispose of. They might not be the most effective, and certainly some of her recipes might have downsides (she herself mentioned that she got burned by one of her DIY experiments), but fortunately they aren't super-duper-OMG unsafe. I suppose the most that could happen is you get some sort of rash or allergic reaction, or in the very worst case, like her, a burn of some sort. The most dangerous DIY recipies I've come across so far are those that 1) don't advocate for proper preservation, but aren't one-time use products, and 2) that DIY for products that come close to particularly sensitive areas of the face, e.g. the eye lining. For example, I once came across a recipe for DIY mascara, that did NOT have any preservative in the recipe! Now that is definitely super-dupe-OMG levels of unsafe, because as the consumer continues to use the mascara, bacteria and other mold and gross things will grow in the formula, and without any preservatives, the product will be very risky to use. Combine that with the fact that mascara comes into close contact with our eyes, that means that you have a potential case of eye infection waiting to happen from this DIY recipe. In that vein, DIY eyeliners are also quite sketchy to me. That said, while most DIY recipes aren't necessarily unsafe if they are preserved, handled, and made properly, a lot of them are ineffective. For example, I've come across a recipe for DIY sunscreen, and while it likely wouldn't harm the user, the DIY recipe wouldn't have offered much in the way of sun protection, and the user would be better off buying their own sunscreen from the store, especially since sunscreen is a pretty complex thing to formulate on your own. I'm not against DIY-ing if done properly by a knowledgeable person, and I do think it can be possible to get some harmless fun out of DIY-ing simple things (e.g. mixing honey and yogurt to have a wash-off mask - it might not be the most effective mask ever but it can be enjoyable), but I just wanted to stress that noone should attempt to DIY complex products without knowing what they are doing, as they could harm themselves. No offence to the person who asked but I'm so sick of people saying they don't want to use this or that brand because they use "chemicals". Everything's made of chemicals, you're made of chemicals! water is a chemical, all the food you have ever eaten is made of chemicals, and yes, poisons are also chemicals. snake venom is natural and made of chemicals and so is rice. @Karano月: Haha I definitely get where you're coming from, and agree with everything you say! I do think there is a frustrating amount of misconceptions out there about "natural" products being better than "chemical" ones, in part because people don't have the time or inclination to look up the actual science, in part because the inaccurate information somehow travels a lot faster than the actual truth, and also in part because lots of companies make money off inaccurate information (e.g. weight loss supplements is one), and help to further propagate it. I know it can be tiring explaining misconceptionsover and over again, and that's part of what I hope to achieve at this blog - getting some of the info all in one place, so people can read and refer to it! I'm happy when people ask questions, even ones that may seem repetitive, because it means they are seeking an answer, and hopefully will eventually deepen their understanding through the process! And of course readers like you, who contribute meaningfully to the discussion on this blog, are always invaluable as well! I must say I second Karano's rant up there. Just because something is not advertised as a "natural" product it doesn't mean it comes from some hazardous toxic extraterrestrial land.. as most people nowadays tend to think of. Question: what do you think of "no poo" regiments? @Nabila: Haha yes, I LOLed so hard at "Hazardous toxic extraterrestrial land" - I definitely know some people who seem to think that way! As to your "no poo" question, I'm not that well-versed in haircare science (skincare and haircare science are kind of two separate domains), so I might be totally giving a wrong answer, but I think this is one of those YMMV things. If I'm not wrong, "no poo" regiments basically advocate using no shampoo because shampoo can strip hair and leave it dry, right? In that sense, I guess a skincare analogy would be one where people advocated "no cleansers". It would work for some people (for example people with very dry sensitive skins where the skin doesn't produce much oil could get away with not cleansing skin so often), and would be horrible advice for others (for example, people with oily skin and who sweat a lot definitely need a cleanser of some kind to remove the dirt and oil). So I imagine a "no poo" regime might also be equally varied - some people would love it, but some wouldn't. Hope this helps!